Alcohol monopolies: Friend or foe? Alcohol monopolies are in the news again in Canada. A recent piece in the Montreal Gazette has argued that it is time to end the alcohol monopoly in Quebec. Why? Because consumers are being gouged while the government-run monopoly lines its pockets. For those of us from the Great White North, the alcohol monopoly is something that we love to hate. We love it because it’s like an old friend; familiar, always there, and always reliable. This is ignoring the fact, of course, that to at least a certain degree, prices are tightly controlled, access to product is limited and regulations are much tighter and more restrictive. And this is what makes it a foe. Even though Canada is one country sharing a single constitution and national identity, there are strict rules about shipping wine over provincial borders. Moreover, because liquor laws vary from province to province, there is the belief that some people get a bad deal. Then there is the service side of things. Consumers get limited access to the market (in British Columbia, consumers often can only buy a bottle or two of their favourite Bordeaux because BC Liquour Stores work to tight allocations), staff knowledge can be pretty poor in the stores and much of what is sold on the shelves can be viewed as generic dreck. As Quebec’s only buyer and vendor of most alcoholic products, the Crown corporation brings in over a billion dollars to the province annually, about 1 per cent of its revenue. It’s the government’s most profitable venture, with margins over 48 per cent. As a comparison, Liquor Stores N.A. — a company that owns liquor stores in Canada and the U.S. — only had a profit margin of 1.9 per cent. The argument, however, is not that the entire system should be privatised and the government distribution department be scrapped. Instead, it argues that the buying power of the government corporation be retained and the market opened up to private retailers. 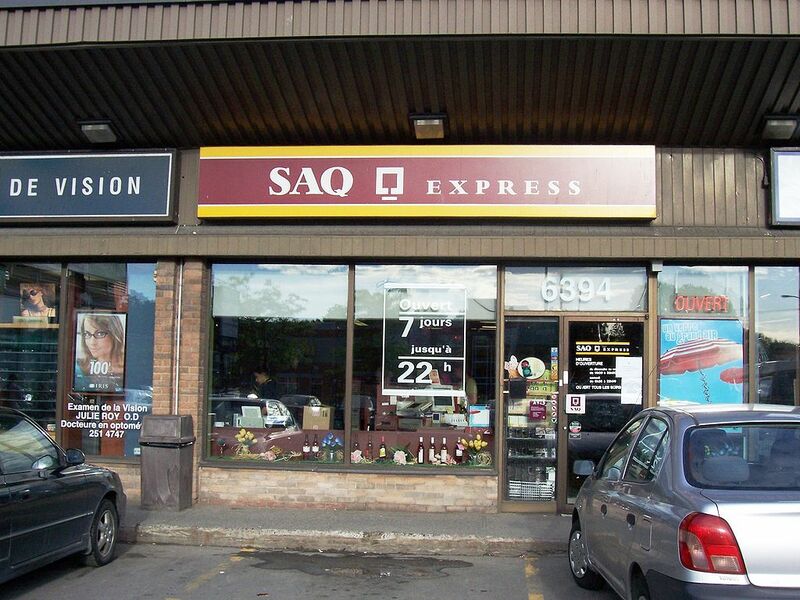 In ending the monopoly, the SAQ would retain its duties as the sole distributor of alcohol in the province. There is a cost advantage of buying alcohol in bulk and the SAQ is one of the world’s largest buyers of wine and alcohol. This could be made to work in favour of consumers and businesses. Privately owned retail outlets would purchase their products from the state at a low cost and sell the alcohol at a price determined by supply and demand. Such a plan could be a decent solution, but is the alcohol monopoly necessarily a bad thing? Ending the monopoly, sacking the employees at all the stores and opening the market to private competitors, as the Montreal Gazette piece recommends, might result in good things for consumers. But it seems to gloss over an important issue: it could put 8,000 people out of work and, very likely, result in lower wages for those who end up working in a privatised alcohol retail sector. This would need to be managed to ensure that unemployment and underemployment as a result of the process are kept to a minimum. All of this makes me think back to a piece I wrote earlier this year about alcohol monopolies. In it, I concluded that alcohol monopolies help to keep sales low and therefore the negative problems associated with consumption. But I also concluded that it was detrimental to consumers in terms of offering choice of product and value for money. But the evidence, coupled with my experience living in the UK, has made me change my mind. These days it seems to be that the best thing…would be a free and open market for alcohol retailers. My argument remains the same. But I’m not entirely sure the argument put forth in the Montreal Gazette piece is entirely realistic. And I’m not in favour of closing a retail system that would result in 8,000 job losses. That end of things would need to be managed carefully. Most of all, though, I’m not sure having private retailers buy directly from the sole, state-run distributor makes any sense over the long term. One of the best things about the UK wine market is the competition in the distribution market, with small and large players striking deals with producers around the world. In addition to the importers who handle the large brands and the prestigious estates, there is a litany of small wine merchants who travel far and wide to find undiscovered producers that have never before been available on these shores. Could a single, giant, government distribution branch achieve that? Probably not.